Robert V. “Bob” Eisert, 83, of Wapakoneta, passed away at 9:28 a.m. Tuesday June 26, 2018 at St. Rita’s Medical Center, Lima. He was born on December 31, 1934 in Lima, OH to Albert & Louise (Schnippel) Eisert who preceded him in death. On May 11, 1957 he married Marilyn Hollenbacher and she survives in Wapakoneta. Survivors include three children; Deb (Kevin) Sailor of Jackson Center, Brett (Becky) Eisert, Alan (Michele) Eisert both of Wapakoneta and a granddaughter, Elizabeth Sailor. He was preceded in death by a sister, Doris Bower. 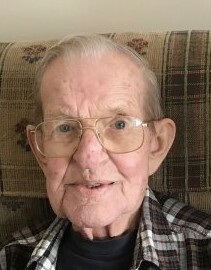 Bob served in the U.S. Army from 1955-1957. He owned and operated Eisert Plumbing and Heating for 43 years until his retirement. He was a member of the Wapakoneta Lions Club for over 40 years. He enjoyed woodworking and gardening. Private family services will be held at Schlosser Funeral Home & Cremation Services, Wapakoneta with Pastor Robert Gibson officiating. In lieu of flowers memorial contributions may be directed to the Wapakoneta Lions Club.